EUSMI aims to enhance the European competitiveness in soft-matter research and innovation through the integration and the extension of the scope of existing specialized infrastructures. 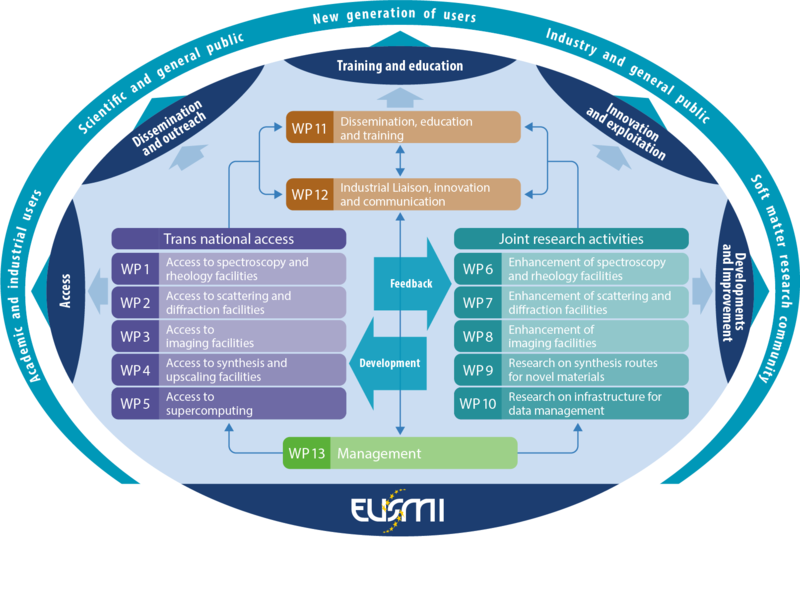 A full suite of coherent key infrastructures and the corresponding expertise from 15 top-level institutions are combined within EUSMI, accessible to a broad community of researchers operating at different levels of the value chain, including SMEs and applied research. As one of these 15 top-level technology partners, Nanosurf GmbH in Langen, Germany, will provide transnational access to a Flex-ANA system. This AFM system is an automated solution for AFM-based nanomechanical analysis. It is designed to investigate the nanomechanical properties of materials such as cells, tissues, scaffolds, hydrogels, and polymers on multiple or large samples via force spectroscopy and force mapping in an intuitive and automated fashion. More about Flex-ANA. Visit the EUSMI homepage for details about the project.